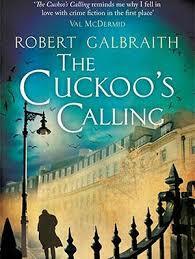 Quietly, in the early spring, a novel by a new author Robert Galbraith called The Cuckoo's Calling was published. The author's note gave a short bio reporting that Robert Galbraith spent several years with the Royal Military Police before being attached to the SIB (Special Investigative Branch), the plainclothes branch of the RMP. 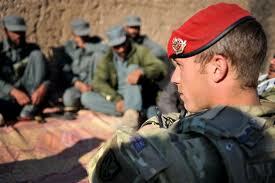 He left the military in 2003, and was working in the civilian security industry. The idea for Cormoran Strike grew directly out of his own experiences and those of his military friends who returned to the civilian world. "Robert Galbraith" is a pseudonym. As The Cuckoo's Calling begins, 25-year-old Robin Ellacott has just experienced some of the best times of her life. She had moved to London to be with her boyfriend, Michael, and last night she became romantically engaged to Michael at the Eros statue in Piccadilly Circus. While Robin looks for a real job, she is working as a secretary, through a temp agency. On this morning, she is on her way to a new assignment. She is about to knock on an office door when she is literally bowled over by a very large, disheveled man, who bursts out of the door and nearly knocks her down a stairwell. This bulldozer turns out to be Cormoran Strike; an apt appellation, since he shares a forename with the first giant felled by Jack, in the fairy tale, Jack the Giant Killer. Like Robin, Cormoran has also had an epoch-changing 12 hours. He has just broken up with his long-term girlfriend, Charlotte, who dented his head with a heavy glass ashtray as a goodbye present. He is on his last leg, both literally and financially, since he lost his lower leg not so long ago in war action in Afghanistan. Now he's lost his home, belongings and security, and is not sure what is coming around the corner––other than Robin. Almost before Cormoran can pull himself together, Robin is introducing him to a new, wealthy client who wants him to investigate the death of his adopted sister, Lula Landry. 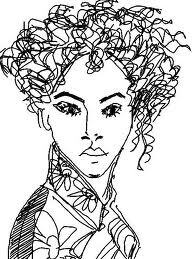 She was a most beautiful supermodel, who appeared to have jumped out of a top story window in a suicidal depression. The client, John Bristow, is convinced that she was pushed. So, even with his life in disarray, Strike falls back into the familiar soldierly state of doing what must be done, without question or complaint. 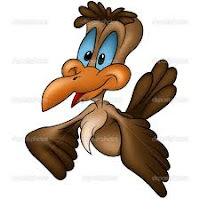 A cuckoo is a small, brownish-gray bird that lays its eggs in another bird's nest. In this book, the cuckoo gives clues to the mystery. There are certainly birds growing up in others' nests in the plot, not only in the victim's family, but Strike's as well. He counted at least 17 schools that he had been hustled in and out of during his childhood. He was the illegitimate son of a famous rocker who cared little for him. 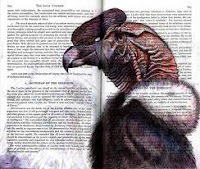 The cuckoo is also known for its repetitive cry, and there are many repetitive cuckoo-like cries from all sorts of characters in this book, which give the reader pointers in the right direction. The character Strike is fairly standard for a fictional PI. He comes from a policing background, he has a disastrously complex personal life and he has a great new young partner––I mean secretary––who is one of the only good things going for him. The case is not that unusual either; I have read a few "was he pushed or did he jump" scenarios. But what I really enjoyed was the ambience of London, the view through opera glasses at the lives of the rich and famous, and how the author took these ingredients and made an excellent reading experience from them. You would never guess that this was a debut novel. And of course it wasn't. As it happens, Robert Galbraith is pure fiction as well. This is a nom de plume for the very well-known J. K. Rowling, of Harry Potter fame. 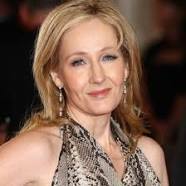 Rowling has been quoted in a British newspaper as saying, "I had hoped to keep this secret a little longer because being Robert Galbraith has been such a liberating experience. It has been wonderful to publish without hype or expectation and pure pleasure to get feedback under a different name." Since the news broke, New Statesman reports that the book's sales from Amazon alone have gone up more than 150,000%. Rowling once said, "The fame thing is interesting because I never wanted to be famous, and I never dreamt I would be famous." She has also been quoted as saying, "I was convinced that the only thing I wanted to do––ever––was write novels." In that case, it is not surprising that Rowling has continued to write novels. 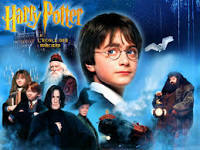 Her last published Harry Potter story, Harry Potter and the Deathly Hallows, was published six years ago, in July of 2007. 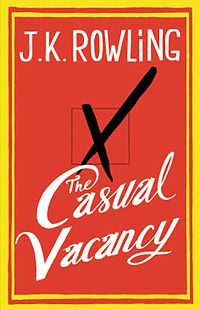 She did publish an adult novel, The Casual Vacancy, that came out last year and sold like hotcakes. I must admit is on my wish list for when it comes out in paperback, which is any day now. Someone seeking anonymity can change appearance, name and alter a biography, but experts will tell you that a voice will always reveal the real identity. Of course, with the knowledge of hindsight, I can hear the Rowling voice in Galbraith's words. Robin, the character who opened the book, immediately charmed me, and I was firmly a Cormoran supporter before the first chapters were done, just as I was with young Harry P. The wonders of London were described so that I could visualize them, as I did the peripatetic stairway at Hogwarts. Obviously, Rowling is not the first author to write under an assumed name. In 1870, Charlotte Brontë admitted that she and her sisters had been writing under masculine names. Well-known author Nora Roberts writes under at least three other names. Even Stephen King tried out a nom de plume or two; the best known of which is Richard Bachman. 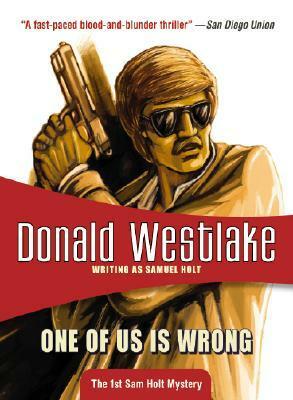 Donald Westlake was an American writer with over a hundred novels and nonfiction books to his credit. He specialized in crime fiction, much of it comic capers, and he wanted to try to see if he would be as successful in a different guise. He began a series of books that he was writing simultaneously in order to keep his character consistent. He wrote the books under the pen name Sam Holt. His publisher, unknown to him, let the bookstores in on the secret in order to boost the sales of the book. In the introduction to One of Us Is Wrong, Westlake said he became aware of this and he lost heart and did not finish the series for years. On the other hand, he must not have completely lost heart, since he is known to have written under about a total 16 pseudonyms. The question is: Did Rowling countenance the leak to the British newspapers? Bob Minzesheimer of USA TODAY speculates that she did, because she was not very angry at being outed. Either way, I hope there is another book in this series. I will get it ASAP. I am anxious to know what happens to Strike, and what the future holds for Robin. It will come as no surprise that Strike solves this very high-profile case and, of course, now he has a name. What will he do with it? Thanks for reviewing this for us, MC. I'm very curious about this book, especially since reading comments by an Orion editor, who rejected it for publication because, although it was good, "it didn't stand out" in fictional crime's crowded market. 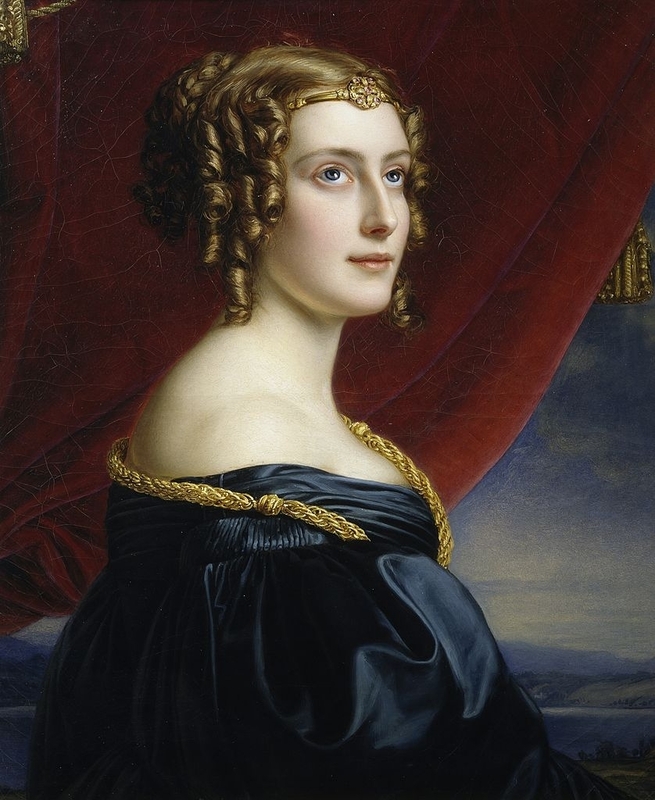 Georgette, This very interesting. I find that sometimes the more 'outstanding' books fall into the love 'em or hate 'em category. This type of book may have a wider appeal in the final accounting because the characters have such an appeal that you can't leave them alone. I just finished this yesterday and I completely agree that the characters really make the book. I enjoyed it very much; it reminded me a little bit of a Reginald Hill or Peter Lovesey–––but with one big exception. I think the book is overly long. As Rowling's writing career went on, her books got longer and longer. That works fine for a novel, but it can get in the way of a mystery. In this case, Rowling made the solution require so many clues, connections and logical leaps that a ton of exposition was needed. It was far from a fair-play mystery, though I think maybe she thought it was. I hope she tightens up her plot in the next book, assuming (and hoping) that she does intend this to be a series. Despite this criticism, I thought the book was well worth reading, and Cormoran and Robin are characters nearly all mystery readers will enjoy. Sister Mary, I confess I felt the length of the story got in the way. I kept wishing that I had been reading the hardback version because I so wanted to flip to the end just to ease my mind about a few things. I do this sometimes and I call it the tossed salad reading method, particularly effective in books like Stieg Larsson's The Girl With The Dragon Tattoo in which I got bogged down in the financial misdoings in the beginning and which were confusing. So I read the end and then the middle. On the e-reader version at about 21% there were things I wanted to know but the Kindle is not amenable to flipping so my salad reading ending up remained untossed, more like a waldorf with interesting nuggets trhough out. Sadly I'm guilty of being only slightly interested in this title before learning it was Rowling. I actually trust Mulholland and have enjoyed everything I've read on their list but my own TBR is so massive at this point. It's on my must have list now (along with lots of others). Though I do hate being part of the reason I'm sure Rowling's identity was revealed. I'd guess that if Rowling was behind it herself it was thanks to the slow sales. I admit that I wasn't interested in reading this book until I found that JK Rowling authored it. This appears to be the first in the series because it is listed on GoodReads as "the Cuckoo's Calling (Cormoran Strike #1)." I also was absorbed into the book from the first few paragraphs and despite the book being long, I am finding that it is going fast (I am still reading it).